If anyone has mastered the art of engaging an audience, it’s successful video bloggers (otherwise known as vloggers). Think about it: while YouTube isn’t the only video sharing platform available, it’s arguably one of the most popular, and according to YouTube’s statistics, the channel has over a billion users–almost a third of all people on the Internet–and reaches more 18 to 34-year-olds than any cable network in the U.S. Furthermore, data shows that a YouTube personality needs almost 800,000 subscribers just to break into VidStatX’s list of top 100 vloggers. That’s a lot of competition for vloggers. And the ones who stand out from the competition do so because they know how to engage their audiences. So what can marketers learn from successful vloggers? More than you might think. As marketers, we spend a lot of time with our noses in campaign schedules and automation flows. We count downloads and clicks, and it’s easy to forget that those downloads and clicks are coming from people. When you can break from the mold, though, and engage with your audience as individuals, you make a lasting impact. Fashion and travel blogger Laureen Uy of Break My Style YouTube channel, who also co-hosts a fashion TV show in Manila, has learned how to address an audience of individuals effectively. She explains that the key is to make them feel like you’re talking directly to them and make them feel like you’re friends with them. Personal conversation is not only more engaging, it also builds trust. Laureen gets a lot of emails from readers sharing their personal stories with her, inviting her to be a part of their lives. No one wants to feel like a number—on a view counter or in a revenue goal—and as marketing technology continues to develop, most buyers know they don’t have to. A certain level of personalization is expected in the marketplace today, and brands who jump the curve to offer the same consideration to their buyers will stand out from their competition. Vloggers today don’t fit neatly into any one category, they are not just teenage girls or people over-sharing on their smartphone cameras. Successful vloggers are monetizing their content and actively building their audiences. That requires some marketing know-how and clear calls-to-action (CTAs). 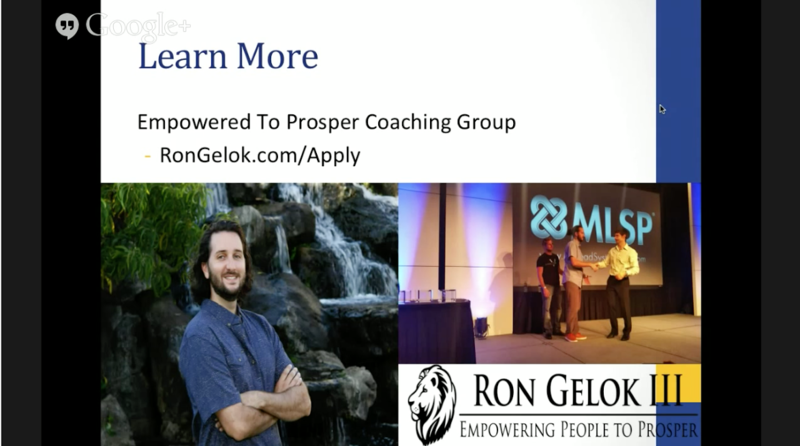 Ron Gelok is an entrepreneur and professional network marketer who vlogs on his YouTube channel, Ron Gelok III: Empowering People to Prosper. Ron reveals that people began to engage with him once he started putting CTAs in his videos. And going back to the previous point about treating people like people, Ron uses a personal tone to encourage his audience to take action, as if the person is right in front of him and he’s having a conversation with them. So give buyers a clear next step on every piece of communication. Make your CTAs visible, use strong action verbs on buttons, and design buttons that stand out from your ads or landing pages. Conversions are great, but fans are better. Customers purchase—but fans purchase and then go on to spread the word about your business. Similarly, vloggers have viewers, but successful vloggers work hard to develop viewers into fans because fans share content and participate in conversations—drawing in other audience members who might otherwise not engage. One way internet personalities—like Jon Jacques of JonJacquesTV on Periscope and #MagicMoments on Ellen Tube—develop those relationships is by giving a little extra incentives to the regulars. Jon has an “Insider’s Circle” where he offers exclusive content and behind-the-scenes footage to viewers who have supported him by tuning in regularly and sharing his footage with their networks. In a traditional marketplace, existing clients were the responsibility of sales and customer service reps. However, in today’s digital marketplace, where different channels are connected to provide a single view of the customer, marketing is increasingly responsible for keeping customers engaged and nurturing further conversions or sales. Make sure your marketing strategies support the goal of nurturing existing customers into advocates. Some marketers mistakenly believe that social media marketing is irrelevant for their target audiences. The truth is, your buyers are on social media more than you think: when they wake up, during lunch, when they’re in line, when they get home—the list goes on and on. They might not be on there to place an order or purchase software, but they’re there. The trick is to engage with them strategically. Make sure that each marketing campaign includes your social channels. Start integrating your social networks into your marketing campaigns, with direct links to your channels and buttons for social sharing. 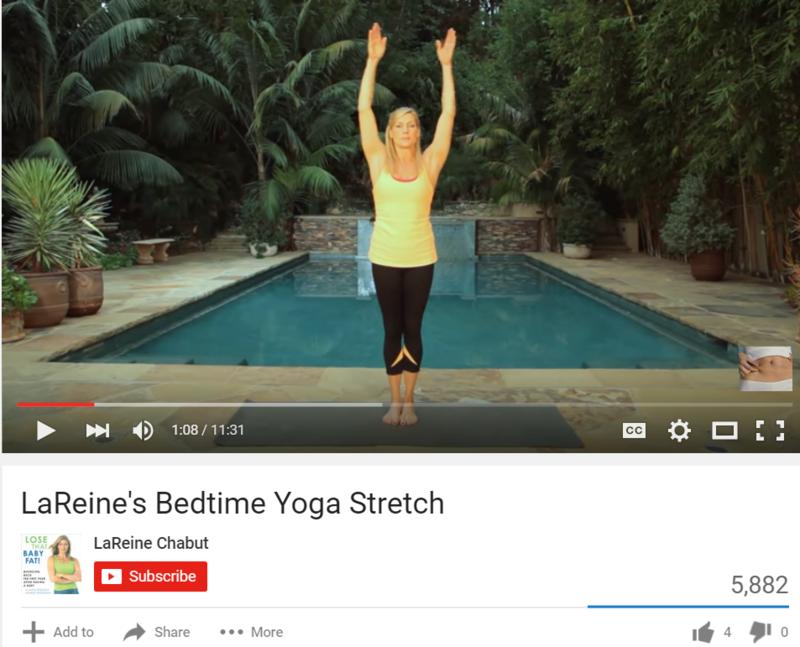 LaReine Chabut is a Huffington Post lifestyle and fitness expert and best-selling author, and she grows her engagement with her audience by sharing her YouTube videos on her Facebook, Twitter, and Instagram and embeds her videos into all of her blogs. Apply the same lens to your campaigns. For instance, can you promote an event or asset on your various channels, tweaking the message and image for each channel? Engage with your audience. Consumers already expect to be able to contact their favorite brands through social, so brands that make themselves similarly accessible are leading the pack. 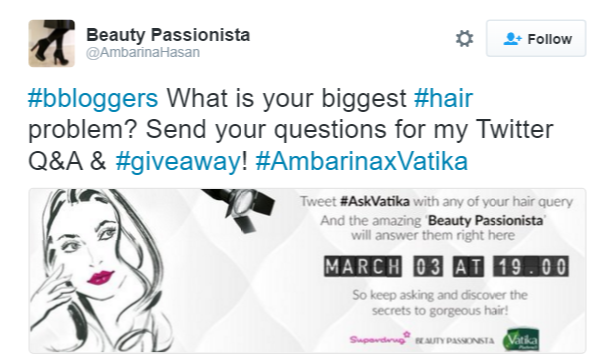 Beauty journalist and blogger Ambarina Hasan of Beauty Passionista makes sure to engage with her audience through social media, answering questions or comments that are posted on her channels. Share content your audience wants to see. Sometimes, participating in social media means curating content that other publishers produce or creating content that serves your audience—even if it doesn’t directly serve your brand. Ed Pollio is the co-founder of 5050 Skatepark, New York City’s only indoor skatepark. He maintains the park’s YouTube channel, which has become a large part of its marketing. Pollio uses YouTube to share content that speaks to his audience’s lifestyle and gives his audience a greater voice. This includes sharing music videos, content on BMX, skate, and scooter, and interviews of locals and other people supporting the skate park. Participate in conversations that your audience is having—whether they specifically ask you or not. The key to doing this successfully is to make these interactions natural, and not sales pitches. Professional makeup artist J. Pana has well over a million total views via her social media, blogging, and vlogging efforts. Her Vine account, Make Up by J played a huge role in increasing her views. 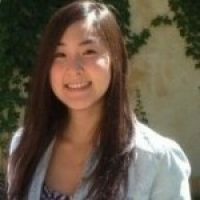 Google+ community participation is another outlet she highly credits for views to her blog along with popular Twitter hashtags she created and oversees. Whether it’s videos or ebooks (or blogs or emails or PPC ads…you name it), quality trumps quantity—especially in today’s digital world where anything can go viral, for better or for worse, and essentially live forever on the internet. A few good pieces can continue to build trust in your brand over time, but a portfolio full of quick, cheap pieces can destroy your reputation. Of course, “high-quality” looks different for every brand in every industry or niche. You have to understand your audience’s pain points and preferences, and then create content that exceeds their expectations. Still, Ambarina’s advice for good video content is almost universally applicable. Creating quality content that engages your audience starts with creating robust buyer personas. As you run campaign after campaign, analyze your results and hone what buyers responded to and what they didn’t. Internet personalities today know that they won’t get away with inauthenticity for long. Vloggers who continue to be successful over time have abandoned pretenses and have learned to be authentic in front of the camera. As a marketer, authenticity is just as important whether you’re marketing to businesses or consumers. If you don’t tell the truth about your brand or your product, someone else eventually will. Whether or not you use videos as part of your overall plan, these strategies for maintaining a successful vlog can be applied almost anywhere you need to consider audience engagement. Vloggers have to be engaging above all else, so if you’re ever at a loss for how to draw in your audience further, watch a few videos from a popular vlogger and ask yourself what your marketing strategy is missing. 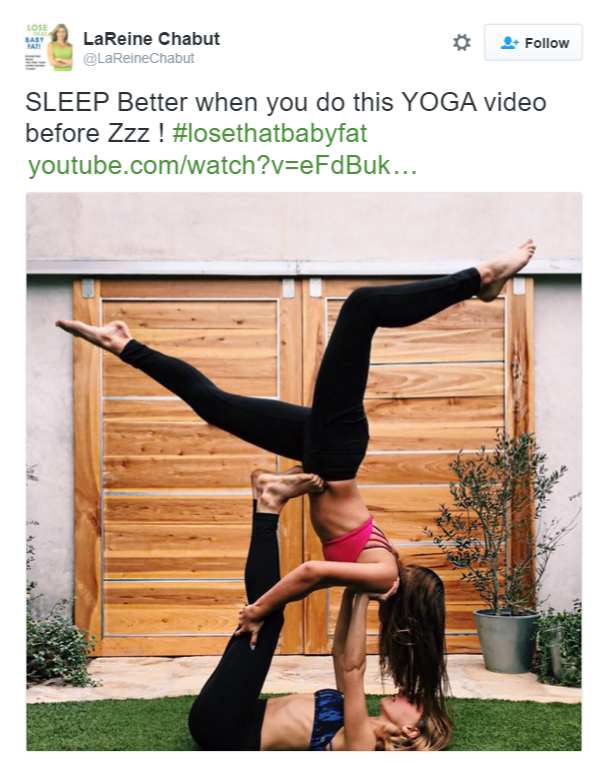 Did any of these engagement marketing lessons resonate with you? Share your thoughts in the comments below!